Honor & Sacrifice is produced by Stourwater Pictures, an award-winning documentary production company that specializes in meticulously crafted historical films. To email us an inquiry on licensing or distribution of our films, click here. To visit our website, click here. Wakaji Matsumoto, a native of Hiroshima, emigrated to the United States in 1906 to join his father, Wakamatsu, who worked on a farm in Laguna, California, near Los Angeles. He was joined by his wife Tee in 1912, and together with family, ran a successful produce farm. Wakaji was fascinated by photography and acquired his first camera by mail order. He took a correspondence course to learn photography, and as a hobby, took many photographs of life on rural Japanese American farms and in the Japanese community in Little Tokyo. Wakaji later attended photography school in San Diego to learn the latest photographic techniques, and acquired more cameras and equipment. He was part of a group of Japanese photographers who formed a camera club that went on photographic field trips throughout the countryside. The members of the club shared photographs and discussed what was happening in the art world, incorporating different styles into their work. Some of Wakaji’s work illustrates the concepts of soft focus and storytelling that popularized the pictorialist movement of the early 20th century. Wakaji’s love of photography and developing talent inspired him to pursue photography as a career. He purchased a state-of-the-art camera with his earnings from the farm, a model that was impossible to buy in Japan at that time. 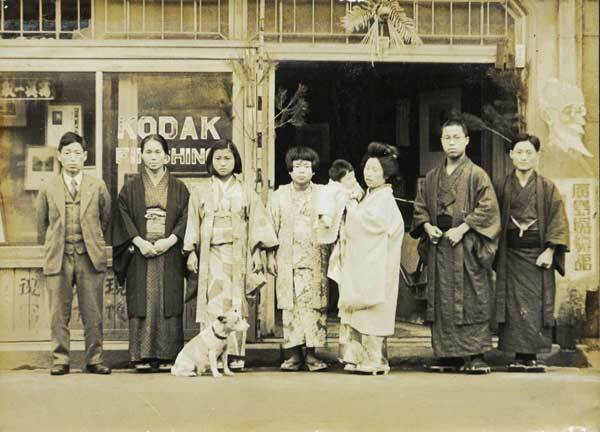 Leaving their farm in Los Angeles, Wakaji moved his family back to Japan, and opened a photography studio in Hiroshima’s downtown Naka Ward, a few blocks from what would be the epicenter of the Hiroshima atomic bombing. 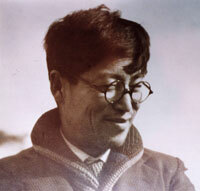 Wakaji took photographs for various newspapers and his studio, Hiroshima Shashinkan, was very successful. With the permission of the Hiroshima military authorities, he was able to continue taking photographs of the city during its rapid militarization. Despite this success, Wakaji eventually closed his studio. Photographic supplies were not easily available due to the war, and photography was forbidden in Hiroshima by the government in order to maintain military security. He loaded his photographs on a horse cart, and took them to his parents’ home in the town of Hatsukaichi, located on the outskirts of Hiroshima, which saved them from being destroyed in the atomic bombing of August, 1945. Over 10,000 of Wakaji’s photographs were discovered in 2010 by his grandson, Hitoshi Ouchi, still in the closet where Wakaji had put them for safekeeping so long before. He informed the City of Hiroshima of their existence and donated the photographs to the City of Hiroshima. They have been preserved and archived by the Hiroshima Archives. Until the discovery of Wakaji’s photographs, there were only 200 known photos of Hiroshima as it appeared before the atomic bombing. His collection contained over 2,000 pre-war photos of Hiroshima. 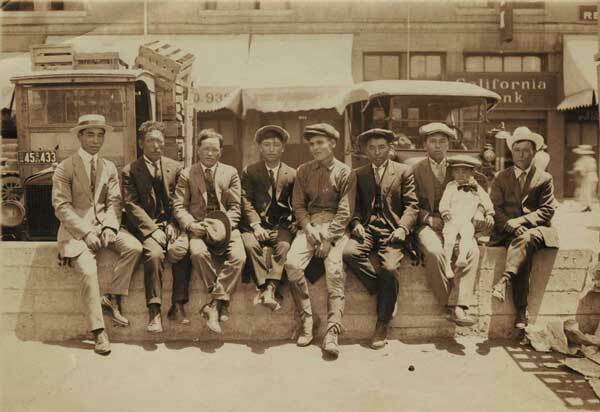 Most of the photos of California and Japan had never been seen since before WWII. Many of the photos seen in “Honor & Sacrifice” are being seen for the first time.